Part of the Geoists in History series, a biographical take on influential economic thinkers, taken from our 112 year old Progress Magazine. His father, the prince of a Neapolitan state, intended Gaetano for a military career, which he commenced at the early age of seven, but Gaetano would instead rise to become an outspoken jurist, philosopher and class traitor who denounced the privileges of land monopoly. Almost single-handedly, he would devise out a series of geoist tax reforms and a system of governance that were light years ahead of the so-called Age of Enlightenment through which he lived. Benjamin Franklin deeply admired and corresponded with him, ordering eight copies of his lengthy economic and political texts, yet his name has almost completely faded from history. Gaetano Filangieri was born at Naples and in his early life practiced as a lawyer there. At the bar his knowledge and eloquence secured his early success, while his defence of a royal decree reforming abuses in the administration of justice gained him the favor of the king, Ferdinand IV, and his prime minister, Bernardo Tanucci, and led to several honourable appointments at court. Such connections ensured a degree of political immunity – he became a gentleman of the chamber to Ferdinand, who was the son of Charles III of Spain. Little did the royalty suspect the radical reformer they were letting into their bosom! His other big break came in the form of a hefty allowance from a rich uncle – now Gaetano had the time and resources for his literary pursuits. 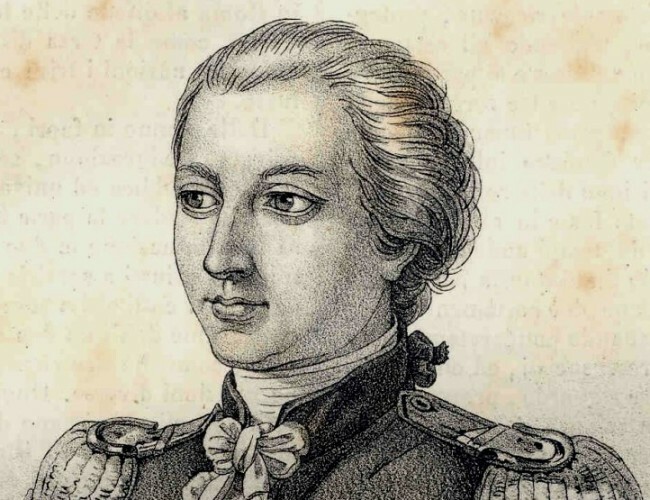 Gaetano was undoubtedly shaped by the tumultuous circumstances in which Italy found itself during the 18th century, when it was still trying to wrest itself free of Europe’s interminable territorial conquests while, at the same time, was also witnessing the looming French Revolution. The War of the Spanish Succession saw control of much of Italy pass from Spain to Austria, culminating in the Treaty of Utrecht of 1713. The Spaniards regained Naples and Sicily in 1738. Spanish and Austrian hegemony was not always based on direct rule. While states such as Venice, the Papal States, the duchies of Este, did not come under the direct control of the empires, a large part of the rest of Italy relied on them for protection against external aggression. The political and cultural roles of the church—in particular, the supremacy of the pope, the immunity of clerics from the state’s legal and fiscal apparatus, the church’s intolerance and intransigence in theological and institutional matters, as well as its wealth and property—constituted the central problems in the reform schemes of Italy’s nascent intellectual movement. Then there was the all-powerful aristocracy which retained total control of both politics and wealth, dominating land ownership and manipulating legal and political institutions in the towns to maintain their position. The growing wealth of 18th century Italy accrued to the value of its concentrated land ownership, in sharp contrast to the deteriorating social and economic position of the urban masses and the growing rural population. Witnessing these worsening difficulties of daily life, Gaetano, much in the manner of Henry George a century later, applied himself to the root cause of the paradox of progress and poverty. Having the means to travel and study and being filled with reforming ardour and a passionate patriotism, Gaetano employed his vehement eloquence in denouncing all the abuses of his time, mostly through a series of ground-breaking books. In 1782 he published the first two of six proposed books entitled The Science of Legislation. The first book contained an exposition of the rules on which legislation in general ought to proceed, while the second was devoted to economic problems and showed the unmistakable influence of the teachings of the physiocrats, that evolved group of French geoists. Gaetano similarly asserted that one of the fundamental tenets of political economy is the levying of a unico dazio, or the impot unique – that is, the single tax on land values which Gaetano maintained was the only feasible and equitable system of governmental revenue. He went further in recommending the method of implementation – that the land tax should be introduced only gradually, slowly removing taxes on in­dustry and production and proportionately increasing taxes on land values. Gaetano integrated his economics into a wholistic world view where we recognise certain natural laws that govern our economic life. If we regulated our lives according to these natural laws, Gaetano argued, we would abolish poverty and secure justice and prosperity for all. In attempting to free eighteenth-century societies from the remnants of feudal institutions that obstructed international peace and economic growth, The Science of Legislation reinterprets Montesquieu and Genovesi through the influences of French radical and Enlightenment thought (Helvétius, Raynal, l’Encyclopédie), as well as the economics of Hume and Verri. But the geoist influence of the French physiocrats is central, aiming to abolish all forms of private appropriation of what should be the Common Wealth, giving rise to a society based on civil rights, a fair distribution of wealth and resources. Like nearly all geoists, Gaetano advocated free trade, but only when the privileges of land monopoly were removed to enable the fair distribution of the fruits of free trade. The success of The Science of Legislation was great and immediate not only in Italy, but throughout Europe at large. It has gone through many editions, and has been translated into most of the languages of Europe. In 1783 Gaetano married, resigned his appointments at court, and retired to a rural retreat outside of Naples where he devoted himself steadily to the completion of his work. In the same year appeared his third book, relating entirely to the principles of criminal jurisprudence. The suggestion which he made in it as to the need for reform in the Roman Catholic Church brought upon him the censure of the ecclesiastical authorities, and it was condemned by the congregation of the Index in 1784. In 1785 he published three additional volumes, making the fourth book of the projected work, and dealing with education and morals. His economic expertise was, one might be surprised to learn, still recognised by royalty, and in 1787 he was appointed a member of the supreme treasury council by Ferdinand IV. However his health, impaired by close study and over-work in his new office, compelled his retirement. He died somewhat suddenly of tuberculosis in 1788, having just completed the first part of the fifth book of his Scienza, one short of his original goal. Gaetano had lived fast and died young, at 36, but at least he left a rich legacy in the form of comprehensive economic doctrines that tapped into the universal truth that the fruits of the Earth should rightly be the equal and common inheritance of all humanity. Bravo!